Troy Tulowitzki has long been viewed as a potential franchise savior for the Colorado Rockies. The four-time All-Star shortstop is a legitimate five-tool player, and possesses literally every trait scouts and coaches look for in a franchise player. At one point in time, the results of a poll of every General Manager in the league showed that Tulowitzki was the player franchises would most like to build their team around. 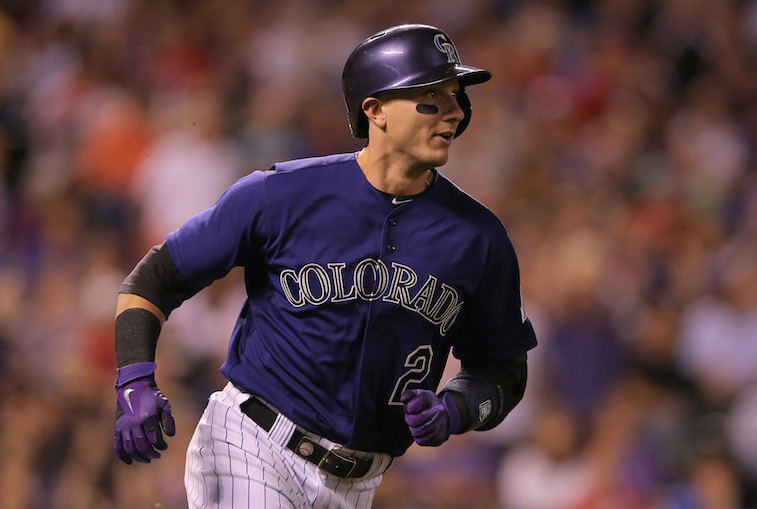 In fact, if it weren’t for an unlucky run of injuries, Tulo would likely be well on his way to earning a spot in the National Baseball Hall of Fame. If the Rockies ever chose to put their star shortstop on the trading block, there would almost surely be multiple teams aggressively pursuing a deal. Yet the Colorado front office has always been hesitant to even discuss the idea of moving Tulowitzki. The Rockies have traditionally been a franchise that builds their team through the Draft, and carry a payroll that almost always ranks in the bottom-third of the league. Their one venture into big-money free agency resulted in pitchers Mike Hampton and Denny Neagle. As it turned out, both players were major disappointments on the field — to make matters worse, Neagle’s time in Colorado came to an end after he was arrested for soliciting a prostitute. The club’s next venture into signing a player to a massive contract would turn out to be Tulowitzki. The Rockies quickly became well aware of Tulo’s immense value shortly after his professional career began in 2006. In 2010, they signed the face of their franchise to a 10-year, $157.75 million contract extension that would keep him in a Rockies uniform through the 2020 season. When Tulowitzki has been in the lineup, he has been worth every penny. The troubling stat for the Rockies, though, has been the fact that Tulo has played in 140 or more games in only three of his nine full seasons in the majors. While nobody will ever question Tulo’s ability on the field, several people have begun questioning whether or not his injury history will keep him from becoming the Hall of Famer many people believed he was destined to be. The Rockies are in the midst of what looks like another sub-.500 season. They are on track to again finish last in the National League West, which will put them in line to land an early pick in the 2016 MLB Draft. That raises the question, would all parties involved be better served by moving the celebrated shortstop in exchange for established players or top prospects as the Rockies work towards rebuilding their franchise? Up to this point in the 2015 MLB season, Tulowitzki has had a clean bill of health. He has been held out of several games for precautionary measures, but he has yet to suffer an injury that lands him on the Rockies’ Disabled List. That fact alone tells us that the Rockies will likely never get more value on the trade market for Tulo than they would right now. 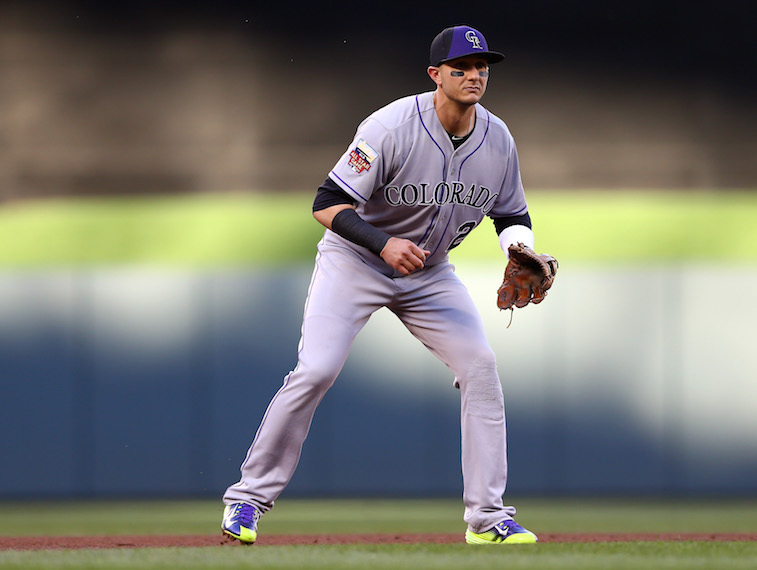 Shortstops with Tulowitzki’s ability don’t come around very often, so needless to say, he would be in high demand if the Rockies finally choose to make him available. The Rockies also may be facing a moral obligation to move Tulo, as well. The 30-year-old California native has been unwaveringly loyal to the only professional franchise he has played for despite the fact that the Rockies have been one of the worst teams in baseball over the last decade. To be fair, Tulowitzki did get a taste of winning during his rookie season when the Rockies went on a historic run to the 2006 World Series. That said, Tulo’s career is beginning to bear a striking resemblance to that of former NFL great Dan Marino. In case you need a refresher, Marino led the Miami Dolphins to the Super Bowl in only his second NFL season (they lost to the San Francisco 49ers), but never again made it that far into the postseason during his Hall of Fame career. Tulowitzki has even gone as far as publicly saying that he doesn’t want to be remembered as the Dan Marino of Major League Baseball. Here at The Cheat Sheet, we firmly believe that it’s time for Tulowitzki to move on to a franchise that will allow him to contend for a World Series on an annual basis. At the same time, we also believe that shopping Tulo for elite pitching prospects would be in the best interests of the Rockies and their build from within their farm system philosophy. At the end of the day, this comes back to the Rockies doing the right thing for their best player, and that would be to trade Troy Tulowitzki to a franchise that won’t waste his immense talent.